The Chronicle Herald is the most comprehensive information source in Atlantic Canada. They bring audiences together, providing information they can use, delivered across multiple, easy-to-access platforms. And in delivering value for their audiences, they also deliver value for our advertisers. The Chronicle Herald is proud of its legacy of independence, integrity and place as a vital part of the fabric of the communities they serve. 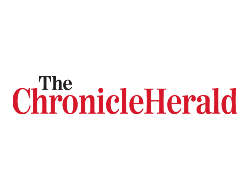 The Chronicle Herald serve by understanding their communities’ information needs, providing them with the best product possible and by giving back. The Chronicle Herald innovates to ensure their audience is able to get the information they want, when they want it and how they want it. They innovate to remain a relevant and competitive channel for advertisers to reach their consumers. The Chronicle Herald will move forward with a bold entrepreneurial spirit, building on their strengths. The Chronicle Herald’s colleagues built and helped to create their success. They deeply value the role each person has played in their history and will play in their future success. The Chronicle Herald strives to be the most trusted, most used information source in Atlantic Canada.